AS-IS! Mid-Century ranch block house on nice shaded lot. This property is more than ideally located 2 short blocks from I-110 for a fast ride to the center of downtown Pensacola, Cordova and University shopping malls, area hospitals and colleges. An additional plus is the convenient location within a mere 2 block walking distance to Pensacola Christian College campus. Investor/builder will need to update kitchen and back bath to start generating income. Mature fruit trees in back yard. Large building in fully fenced backyard. There is an utility easement running the length of back of the property for additional privacy, The property is on a septic tank located in the backyard. 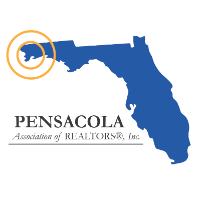 I am interested in 5813 St Benedict, Pensacola, FL 32503 (Listing ID # 550989).